Drive down the A9 from the North and take the turning marked Kingussie. At the T Junction, turn right into Kingussie, drive through the main street until you see the Duke of Gordon on your right. 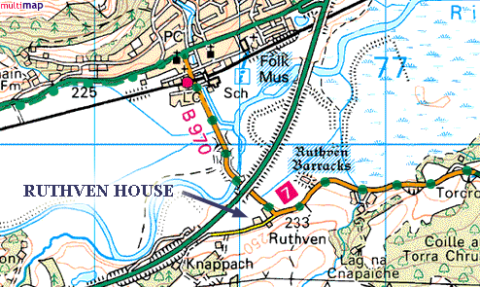 Opposite you will see a brown tourist sign for Ruthven Barracks and Ruthven B&B. Turn left into this road (Ruthven Road). Cross over the level crossing then the single track bridge over the Spey and after another 200 metres, just on a sharp bend to the left, you will see our sign on your right hand side. Our driveway is the one with the white stones running up the left hand side. 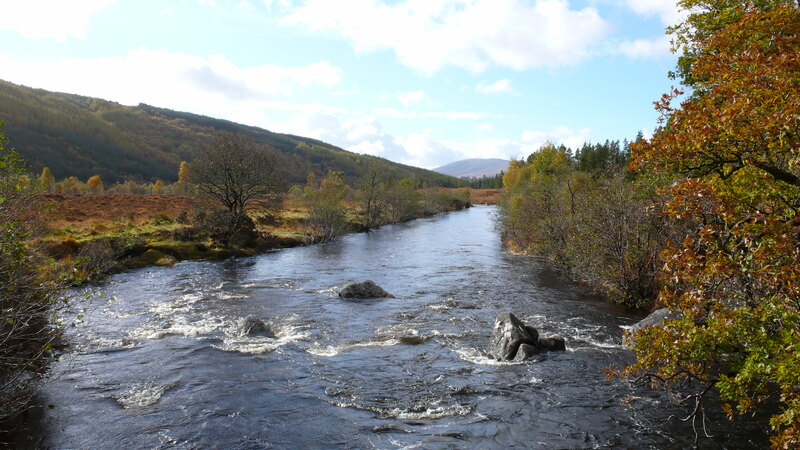 As a guide we are only about 2 or 3 minutes drive from Kingussie. Head north up the A9 and take the first turning signposted for Newtonmore. Follow this road right through Newtonmore then, after 3 miles or so, you will enter Kingussie. Keep an eye out for The Osprey Hotel on your right hand side, opposite the large Duke of Gordon Hotel on your left. Take the turning to the right immediately after The Osprey, signposted for Ruthven B&B. Follow this road go over the level crossing then the single track bridge over the Spey and after another 200 metres, just on a sharp bend to the left, you will see our sign on your right hand side. Our driveway is the one with the white stones running up the left hand side. Scotrail trains stop regularly at Kingussie Station and buses in the High Street. We will happily arrange to collect you, please just let us know your arrival time when you book.